The Society was founded in 1994 to encourage and develop interest in the heritage of the area. 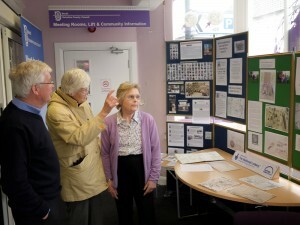 The society holds an archive of photographs and related material from Boroughbridge and surrounding villages and many members are actively involved in researching the history of the local area. In recent years the society was successful in securing national lottery funding for a local study which became known as the Dog Kennel Lane Project. 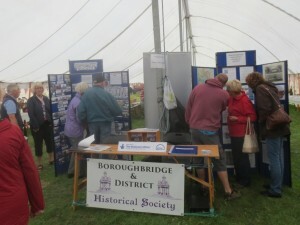 More recently, the Society has undertaken an ambitious project to compile a book about the history of Boroughbridge. After more than 2 years of hard work, this book is now complete, and was published in November 2018. The book covers 22 topics, with contributions from over 50 members of the community. For further information, please see this page. Of course, not all members are budding historians and archaeologists. Many people participate in the society’s events out of a general interest in the past and take pleasure from attending our varied lecture programme. Our monthly speakers are selected to ensure that over time there is ‘something for everyone’ with talks on local, national, international, social, economic and political themes. 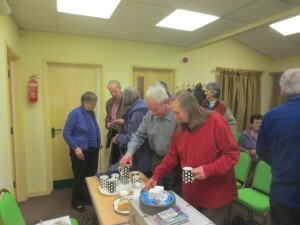 Each session usually attracts around 25-30 members but talks on famous local characters and local events can see our numbers swell to around 50. If you would like to join the society, please do not hesitate to contact us. We are a friendly and welcoming bunch of people. If you want to dip a toe in the water by attending a lecture or two initially you can be sure of a warm welcome.